We've made history again! Millions were on the streets against sexist violence and capitalist oppression. In the era of austerity and capitalist crisis, women are struggling against their oppression. Women are taking action - marching, striking, getting organised. The 8th of March should be the occasion to bring out the best of traditions of the organised workers’ movement. 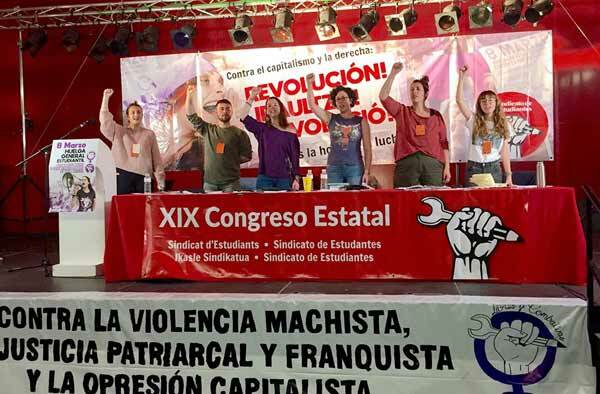 With the Campaign ROSA, we organise marches against sexism and austerity and participate in different, mainly trade union, actions, for demands that mean real progress for the emancipation of working class women. On Friday, 8th March, women across the globe are striking, marching, protesting and celebrating International Women's Day in unprecedented numbers. In a welcome development, they will be accompanied by more men than in the past who see the need to fight the special oppression of women.